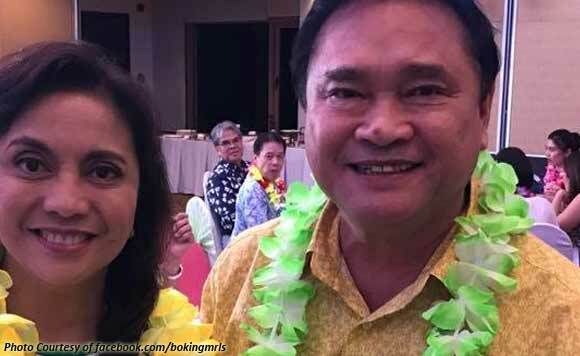 It was quite the colorful meeting between Mabalacat City Mayor Marino “Boking” Morales and Vice President Leni Robredo. The two politikos met during a lawyer’s party at the Palms Country Club in Alabang on Tuesday, July 25. It seems the party theme Hawaiian, with both Morales and Robredo bearing leis on their necks. Cuties naman! Sounds like you both had a good time off the political chaos.